Simple, sleek and classic, our Black Aluminum medical ID dog tag necklace is lightweight and easy to wear. 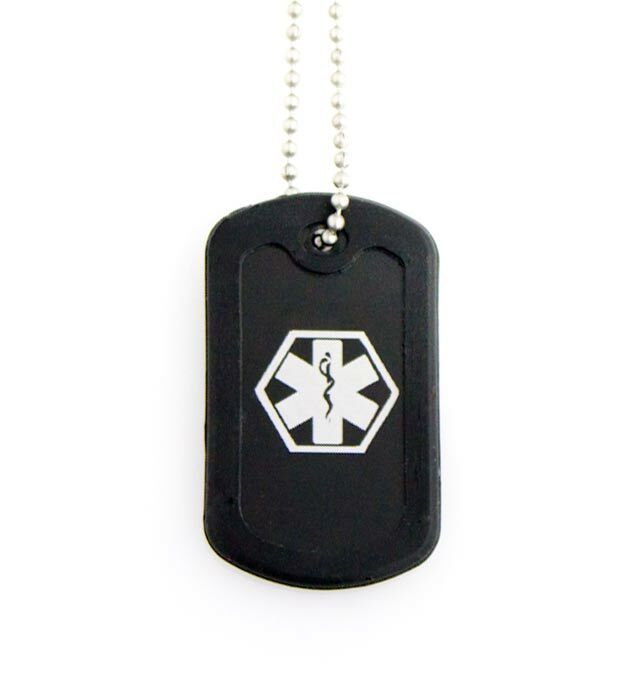 This medical alert dog tag features the internationally recognized medical caduceus symbol on the front to alert first responders to your personal information, engraved on the back. This medical ID necklace measures 24" and is easy to cut down to size for children or use as backpack loop.